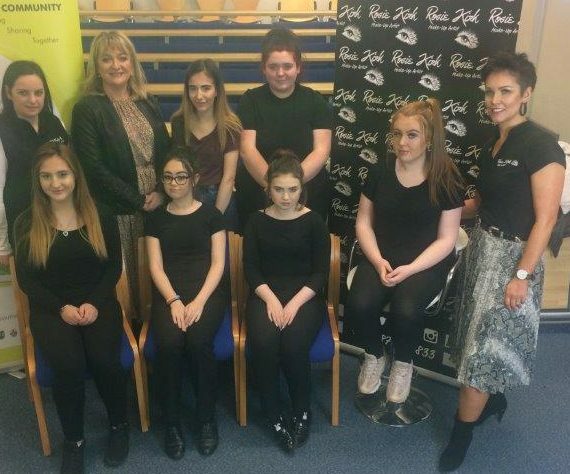 SRC Lurgan campus, Schools Partnership Programme organised a makeup Masterclass with the Professional Makeup Artist Rosie Kirk in conjunction with GOSH cosmetics for Brownlow Integrated College pupils. Rosie who was trained by renowned make-up artist Paddy McGurgan & Mario Dedivanovic is also a Northern Ireland Wedding Awards 2018 Finalist, Fashion, Beauty & Lifestyle Blogger. The pupils received the chance to see the GOSH range of products in action and following this availed of a question and answering session with Rosie.